Brian T. McCarthy is an Associate at Abrams, Fensterman, Fensterman, Eisman, Formato, Ferrara, Wolf & Carone, LLP. Mr. McCarthy focuses his practice on Estate Litigation, Criminal Law, Admiralty and Maritime Law. In 2000, Mr. McCarthy was appointed as an Assistant District Attorney in the New York County District Attorney's Office by Robert M. Morgenthau. Assigned to a trial bureau, he successfully prosecuted numerous criminal cases, including People v. Rocco Graziosa, where a top count conviction was obtained for the assault of former New York Yankees, David Wells. He successfully conducted long term investigations, including matters involving the FBI-NYPD Joint Terrorism Task Force. In 2004, Mr. McCarthy joined a Port Washington based law firm, where he specialized in maritime law, federal criminal defense, civil litigation and administrative law. In 2014, he opened the Law Office of Brian Thomas McCarthy, PLLC, which specialized in estate litigation, criminal law and maritime and admiralty law. 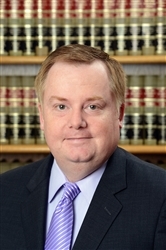 Mr. McCarthy has tried criminal cases in numerous federal District Courts and is admitted to the bar of the State of New York as well as, the Southern and Eastern Districts of New York. Sharon A. Kahn & Brian T. McCarthy, AT-WILL EMPLOYMENT IN THE BANKING INDUSTRY: RIPE FOR A CHANGE, 17 Hofstra Lab. & Emp. L.J. 195 (Fall 1999) (cited in Kroske v. US Bank Corp, 432 F.3d 976 (9th Cir. 2005); Goonan v. FRB, 916 F.Supp.2d 470 (S.D.N.Y. 2013); Steverson v. FRB, 2012 U.S. Dist. LEXIS 56970 (S.D. Ohio 2012); Ewing v. Fed. Home Loan Bank, 645 F.Supp.2d 707 (S.D. Iowa 2009); James v. NRB, 471 F.Supp.2d 226 (E.D.N.Y. 2007)).